Winter can be hard on the wildlife. We try to help out when possible. 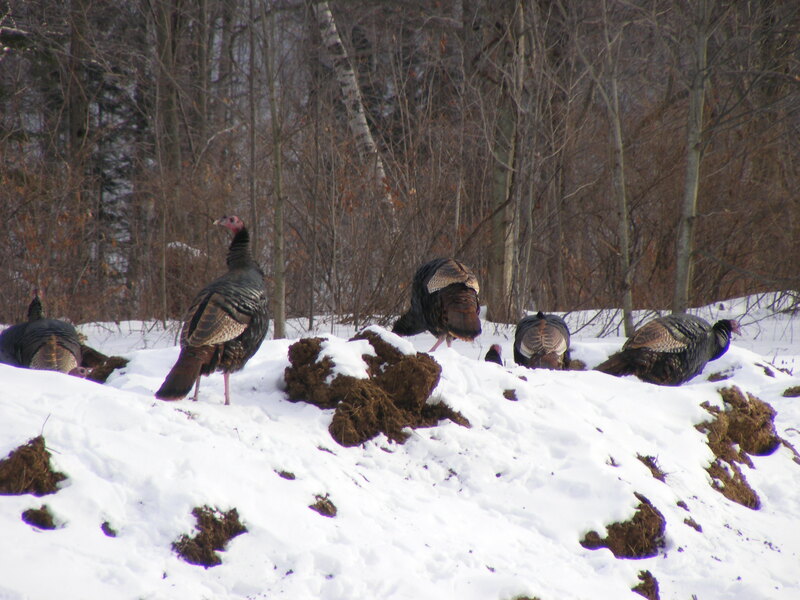 This flock of turkeys has adopted our “barn cleanings pile” as winter source of survival. Somedays there are more than 40 of the devils out there. Fun to watch. Enjoy.